Why Are Green Cleaning products better for the environment and me? If you think that green cleaning products are less effective because they are made with natural and biodegradable components, you are incorrect! People often have this misguided idea, not knowing that conventional and green cleaning products clean with the same effectiveness. But, what is a green cleaning product? 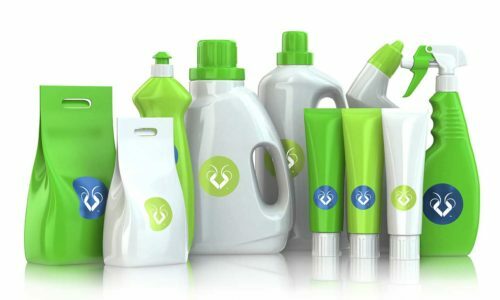 When we talk about changing to a green cleaning product, we have to mainly consider that conventional cleaning products leave toxic compounds on the surfaces, on our skin, in water, in the air. We clearly don’t see any of those toxics and, perhaps, that’s why some people still prefer them, because they don’t see any hazard and have been using them for many years… the cost of conventional cleaning products is also an additional reason for people still buying them. What do you need to look for or avoid in cleaning products? Check the list of ingredients and avoid products with ammonia, bleach, formaldehyde, nitrobenzene, laurel sulfate, trichloroethane and heavy metals. Do not buy products that warn you about high toxicity. If they are harmful to you, they are to the environment. Buy 100% organic, but if you can’t select criteria such as biodegradable, low toxicity, low amount of volatile organic compounds, natural flavors. For these reasons before mentioned is that Green Ants Inc. uses eco-friendly products. We think it is our responsibility to keep our environment, customers and employees, safe at all times. Give us a call at (888) 564-7714, if you need more information about our services.